California Livin Home: It's That Time of Year Again! 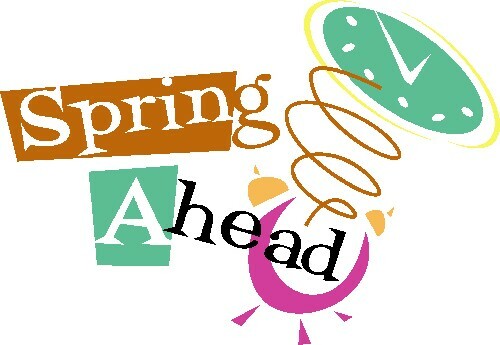 It's time to once again adjust your time for spring as the daylights savings time 2012 starts officially on March 11, Sunday. People should change the time on their clocks on 2:00 A.M. on Sunday by moving it one hour forward. This applies to all states in the U.S. except Hawaii, Arizona, Puerto Rico and the U.S. Virgin Islands, who do not practice DST.